If you are interested in becoming a paramedic, there are a number of steps to take to achieve success and get the job of your dreams. Becoming a paramedic is not difficult, but it is complex and can take a fairly long time – over a year in most cases, and at times up to two years. Being a paramedic also requires a certain personality type. Besides being good under stress and not fainting at the sight of blood, a paramedic must be cool and compassionate and willing to take risks to help someone they do not even know without questioning the circumstances. Before making the decision to become a paramedic, do your research and make sure you know everything there is to know about working as a paramedic. This is not an easy job – it requires a high level of energy and stamina in addition to the ability to work under very stressful situations. Paramedics don’t make millions, either. Most of them do it because they love it – not for the money. Don’t forget to find out about any special requirements in your particular state, city and county. Some job responsibilities and training necessities can vary from place to place, so make it a point to determine where you would like to work before beginning any training program. This is probably the longest and most difficult step to becoming a paramedic. You cannot just walk in off the street and become a paramedic. There are training programs and lower-level jobs that must be experienced before work can begin as a paramedic. The first step is usually to get trained as an EMT, or emergency medical technician. There are a number of good training programs, most of which can be completed in 18 to 24 months. Check around to find the program that will work the best for you. Don’t forget to make sure that the training program is accepted in the particular area where you would like to eventually work. 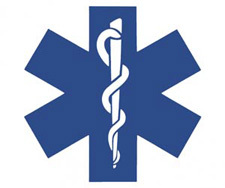 Paramedic and EMT training involves more than just learning how to treat the patients. It is a good idea at this point to develop a program of physical training as well, because being an EMT or paramedic requires good health and high energy. The fitter you are, the easier many of the physically strenuous EMT and paramedic tasks will be for you. Once you complete the first training step – to become an EMT, get a job as soon as you can. In this field, there is nothing more valuable than on-the-job training. There is only so much you can learn from a book or classroom. Paramedic work is the type of job that cannot easily be explained. It is much easier to learn through the day-to-day experiences of working on an ambulance. While you are working at the entry level position of EMT, continue to train and take any classes that are offered to improve your employment skills. Most employers will let you know exactly what you need to be promoted to paramedic. And if the boss doesn’t offer the information, ask about it. As with any career, there are many steps to prepare and becoming a paramedic is not different. Get informed, stay informed and your trip up the ladder in the paramedic field should be a pleasant and fulfilling career path.